As the fall sports season comes to an end, we use statistics and numbers to break down standout Dana Hills High School individual and team performances. 5.4—Running back Jake Baldiviez’s average yards per carry through six games this season. Baldiviez has piled up a team-high 545 rushing yards and has scored three touchdowns. 13.9—Average yards per catch for senior wide receiver Ryder Lynch. Lynch leads the Dolphins football team in receptions (50), yards (694) and touchdowns (nine). 12—Number of times the Dana Hills girls volleyball team recorded a straight-set victory this season. The Dolphins, who went undefeated in South Coast League play, swept 12 teams en route to finishing the year with a 16-9 overall record. 2—Total number of sets the Dolphins girls volleyball team lost in eight South Coast League matches. Dana Hills’ two set losses were against El Toro on Oct. 6, but the Dolphins emerged with a five-set victory. 146—Senior golfer Joan Soewondo’s winning two-day score at the South Coast League finals at San Juan Hills Golf Club on Oct. 19. Soewondo won the individual league title with scores of 69-77, good for a four over par score, at the two-day event. 14:53.3—Junior cross country runner Jack Landgraf’s winning time at the Orange County Championship meet, which was held at Irvine Regional Park on Oct. 14. Landgraf bested the second-place runner by 12 seconds. 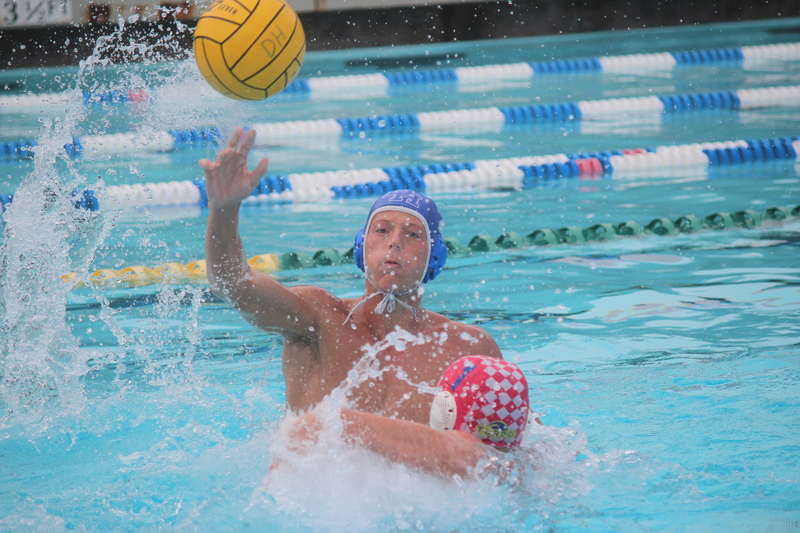 49—Goals scored by Dolphins water polo player Jack McLaughlin this year. McLaughlin’s 49 goals are the fourth-best mark in the South Coast League. 16—Goals scored by the boys water polo team in a 16-14 league victory over San Clemente on Oct. 27, which is a season-high. 10—The boys water polo team’s final ranking in the CIF-SS Division 1 coaches poll, which was released on Oct. 31. 13—Number of match victories recorded by the Dana Hills girls tennis team. The Dolphins went 13-3 overall, and placed second in the South Coast League.